Benjamin Robles, a rising pianist, has performed across the nation. He’s a student of one of New York’s finest artist, Richard Cionco, and a former student of Steinway Artist, Michael Rickman. 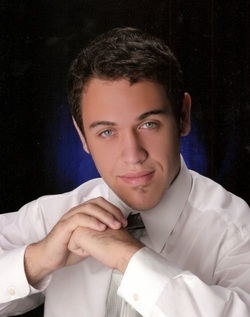 Mr. Robles holds a Bachelor’s degree in piano performance and is currently pursuing a master’s degree in piano performance. He is currently a member of a piano quartet, and concertizes regularly in Florida and California. Mr. Robles has dazzled audiences with his fresh takes on music of the last 50 years, and continues to support new music by living composers.